Macarthur Job analyses how a pilot renowned for maturity and caution came to find himself disorientated in thick cloud with minutes to live. 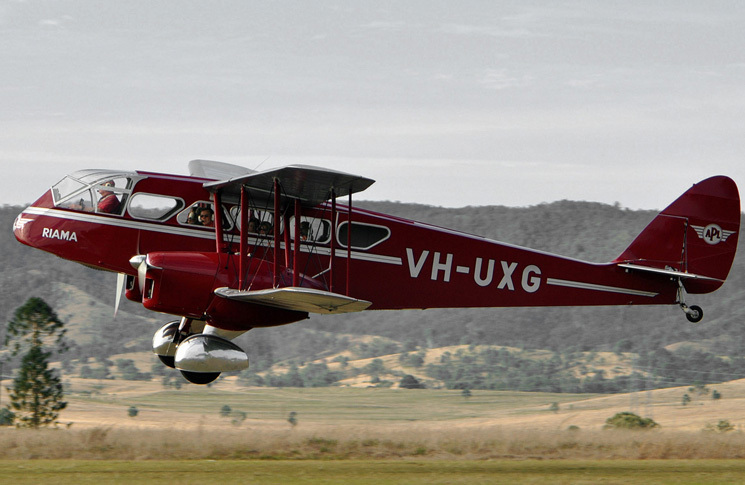 Two hours after taking off from Monto for Caboolture in Queensland, a restored de Havilland Dragon became caught in cloud, and the pilot called Brisbane Centre for assistance. Communication with ATC continued intermittently for 50 minutes until the final transmission from the aircraft, which failed to arrive at its destination. Two days later its fragmented wreckage was found on the side of a ridge, 31 nautical miles north-west of Caboolture. All six occupants had been killed. This tragedy was widely reported in both the aviation and secular media at the beginning of October 2012. 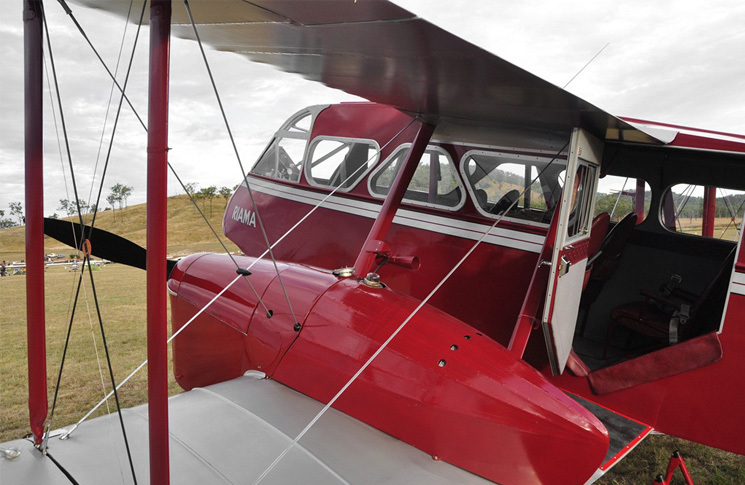 The aircraft was superbly restored and had been a familiar sight at eastern Australian air shows, flown by its enthusiast-owner, Des Porter. The passengers were his wife and two married couples who were close friends. Porter was well-regarded, described by one experienced aviation acquaintance as ‘someone you could imagine flying Air Force One’. 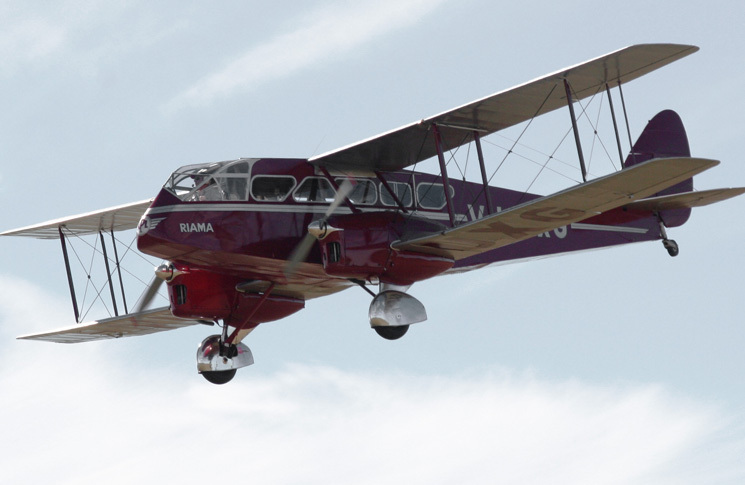 First manufactured in the early 1930s for small airline operations, DH.84 Dragons were cabin biplanes seating up to 10 passengers on short-haul flights. Powered by twin Gipsy Major engines, they quickly became a success with airlines in the UK and throughout the British Commonwealth, earning the reputation of being the most economical passenger aircraft per seat mile yet developed. Production ceased in the UK in 1934 to make way for the higher-performance DH.89 Dragon Six (or Dragon Rapide as it became known), but 10 years later, during the dark days of WWII, the DH.84 design was revived by de Havilland Australia when the RAAF placed a large order for the type to serve as navigation and radio training aircraft. Of the 87 Australian Dragons produced, about half were sold to civil operators at the end of the war at token prices. With little else of their capacity available at the time, they became a prize for developing airlines and charter services, particularly in Papua New Guinea, and for flying doctor services in outback Australia. Porter’s immaculately restored aircraft was without doubt the most elegant Dragon ever to grace Australian airspace, and one of only four airworthy DH.84s remaining in the world. Among its owners was Porter’s father, but after it was badly damaged in a take-off accident at Archerfield in 1954, its wreckage languished in a hangar at Archerfield until the late 1960s, when Porter, learning that it still existed, commissioned Mothcair at Murwillumbah to undertake the enormous task of restoring it to flying condition. The work took several years, and involved constructing a completely new fuselage. It flew again in 2002. Two days before the accident Porter and his party flew from Caboolture, 44 km north of Brisbane, where the Dragon was based, to Monto in central Queensland to attend an air show, where his aircraft was one of the star attractions. On the morning of Monday, 1 October, the party of six prepared to return to Caboolture, and the pilot checked Area Forecast 40 on a smartphone. It was not encouraging, predicting isolated thunderstorms near the coast north of Maroochydore, with scattered coastal showers and drizzle extending inland after midday to the west of the direct track from Monto to Caboolture. The wind was from 140 degrees at 15 kt at 2000 ft, a direct headwind for the Dragon’s homeward track, and was expected to increase to 30 kt near the coast north of Maroochydore. Visibility was eight km in smoke haze, reducing to 3000 m in showers and rain. No terminal area forecast (TAF) was available for Caboolture, but the TAF for Maroochydore, 55 km to the north, predicted a south-easterly wind of 16 kt, visibility greater than 10 km, showers and scattered cloud at 2500 ft and broken cloud at 4000 ft. Deteriorations of up to 30 minutes were expected after 1000 hours, with visibility reducing to 4000m in rain showers, and overcast cloud at 1000 ft.
Rather than wait for improved conditions, the pilot decided to ‘give it a go’. Earlier in the day another aircraft had left Monto for Caboolture and, as far as he knew, had arrived safely. At least one of his passengers was keen to get home that day. He did not prepare a flight plan, but he knew the route well and on the basis of a conservative airspeed of 80 kt with a headwind averaging 15 kt, their elapsed time for the 166nm flight was expected to be no longer than two hours 40 minutes. After the Dragon was refuelled, the pilot completed his pre-flight inspection and the party boarded the aircraft with their luggage. The time was just 11am, which should have seen them comfortably home by 3pm. Both engines fired on their electric starters (most Dragons have to be started by propeller swinging), and the DH.84 taxied out for take-off. 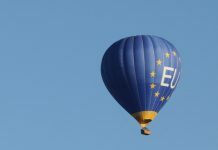 It lifted off from Monto at 11.15am, taking up a south-easterly heading as it climbed away in good visibility under a high overcast. About 45 minutes later, when the aircraft was in the vicinity of Gayndah, just over 50nm from Monto, the pilot spoke to another aircraft on VHF, and at that stage seemed unconcerned about the weather ahead. Another 30-odd nm further on, the Dragon was sighted flying a south-easterly heading at about 3000 ft in fine but overcast conditions. The terrain over the first half of the route from Monto to Caboolture, although for the most part in excess of 1000 ft AMSL, with a wide open lower valley around Gayndah, is relatively benign, but steep, heavily timbered ridges, rising in numerous places to well over 2000 ft AMSL lie across the second half of the track. Mt Langley, elevation 2848 ft, lies close to the direct track only 30nm from the destination. Residents near these mountains said that cloud, moving in quickly from the coast, was building thickly over the ranges, obscuring the mountain tops, and creating misty conditions. Visibility was generally reduced in mist and drizzle. The pilot of a commercial aircraft, overflying the area at high altitude at the time, reported the undercast was solid, with no breaks or holes visible, and said the cloud tops were in excess of 10,000 ft.
No further transmissions came from the aircraft until about 1.00pm, when a helicopter intercepted a call from the Dragon pilot saying that he was ‘having difficulty positioning himself’. Fifteen minutes later, a call from the pilot to Brisbane Centre reported the aircraft was now flying in ‘full cloud’ and he required navigational assistance. One of the passengers in the Dragon also spoke to a friend on her mobile phone, saying they were ‘lost in cloud’ and progressively losing height. Numerous VHF exchanges between Brisbane Centre and the aircraft followed over the next 50 minutes, some of them intermittent because of intervening terrain, as ATC attempted to assist the pilot. From the pilot’s transmissions it was evident that he was having great difficulty in navigating clear of the cloud. People living in the mountain country north-west of Caboolture later reported hearing, and briefly seeing, the Dragon flying in and out of low cloud. About 1.40pm, a Maroochydore-based rescue helicopter team was scrambled in an attempt to make contact with the Dragon and hopefully direct it to safety. Minutes later the Dragon reported it had about an hour’s endurance remaining. The helicopter succeeded in making radio contact and asked the Dragon to change to a clearer radio frequency, but in doing so, contact was lost. No transmissions from the aircraft were received after 2.05pm. Shortly afterwards the aircraft’s emergency locator beacon also ceased transmitting. Two days later the fragmented wreckage of the Dragon was found on the steep side of a ridge, north of the Borumba Dam, 40nm north-west of Caboolture. It was clearly a high-impact non-survivable crash. The pilot had held a private licence for 14 years and had accumulated a little over 1100 hours. He was endorsed on DH.84 aircraft nine years before the accident and his experience on the type amounted to 663 hours, all flown in his Dragon. He did not hold an instrument rating and his only recorded instrument flying time was 3.7 hours logged during the training for his private licence 14 years previously. Why, with all his considerable skill and maturity, did Porter allow himself to get into the situation where he, his wife, his friends, and his unique vintage aeroplane, could fall victim to the classic old general aviation hazard of ‘get-home-itis’? When the fate of the Dragon became known, that was the question on the lips of all who knew Porter as a careful pilot. Why did he not turn back in the face of deteriorating visual conditions, especially approaching the extensive mountainous terrain lying over the latter part of his track to Caboolture? In view of his lack of instrument flying experience, it seems inconceivable that he would have deliberately entered the cloud obstructing his flight path. Rather, it is likely that he continued into misty conditions, still with some visual reference, believing he could turn back if the visibility deteriorated further. This insidious danger for any non-instrument pilot has been responsible for countless fatal spiral dives when the pilot concerned has suddenly found himself enveloped in cloud without warning, and all remaining visual references have instantly and utterly vanished. Some commentators have said it would be difficult to maintain control of a DH.84 in cloud because of its meagre instrumentation. I gained considerable experience on the type in aeromedical and charter work in the 1950s and early 1960s, and know this is definitely not so. The DH.84 had what was once called ‘a fully Sperry panel’ large Reid and Sigrist two-needle turn and slip indicator (standard equipment on all aircraft of British origin up to the end of WWII), directional gyro, and vertical speed indicator, in addition of course to airspeed indicator, three-pointer altimeter and P-type magnetic compass. In the hands of an instrument-trained pilot, it was in fact quite a good instrument platform. Porter’s aircraft also had a basic, black-faced artificial horizon (rather than the more modern attitude indicator), and the turn/slip indicator had been moved down from its original place at the apex of the triangular panel. Provided there was ‘nothing to run into’ (such as radio navigation aids! ), the DH.84 could be flown comfortably on instruments for extended periods. Like the Tiger Moth it was an aeroplane that a skilled pilot would lead with the rudder. Properly trimmed, it could be kept in straight and level flight with this control alone. Stable both in the pitching and yawing planes, it did have a tendency to slowly lose stability in the rolling plane if the controls were left uncorrected. In other words, with the aircraft trimmed for straight and level flight and the controls free, it would gently begin to bank. This would progressively increase until it affected the aircraft in yaw, then the nose would lower, and the aircraft would gradually enter a moderately steep, unbalanced spiralling descent. But unlike modern aerodynamically clean monoplane designs, provided the airspeed was maintained well above the stall, although it would continue to slowly lose height, the DH.84 would not rapidly wind up into what the Americans so aptly call a classic graveyard spiral. It seems that this was the situation in which Porter found himself, once the Dragon had inadvertently entered cloud. Suddenly and frighteningly deprived of all visual reference, and without practice in correctly interpreting the flying instruments in this highly stressful environment, his immediate reaction would be to concentrate on the airspeed indicator, using the control column to maintain a safe flying speed. But as he was doing so, the aircraft would surreptitiously enter an unbalanced turn, evident from a slowly rotating compass needle. At the same time, the needles of the turn and slip indicator would be giving highly confusing readings, both of them well off centre, but pointing in opposite directions! The directional gyro and the artificial horizon would also be clearly showing that the aircraft was in a banked turn, but untrained in the technique of instrument scanning, the pilot would have given them scant attention, fixated as he was on maintaining airspeed. To add to the confusion, the wind noise in the cockpit would increase with the airspeed as the nose tended to lower, creating a greater sense of urgency in handling the controls. In this situation there was no way a pilot without instrument flying confidence could stop the turn, much less return to level flight and take up a heading that would extricate the aircraft from the all-enveloping cloud. Indeed, it seems remarkable – and a grim tribute to Porter – that he was able to maintain some semblance of control for 50 minutes, before the aircraft finally struck the slopes of the unseen mountain ridge. At this stage, either the pilot, fatigued by nearly an hour’s stress and intense concentration, lost control, or the aircraft, still in its uncontrolled turn, simply descended far enough to fly into the side of the ridge. Whatever the actual mechanics of the crash, the tragedy that took the lives of six enthusiastic, well-meaning people and destroyed the world’s most beautiful surviving DH.84, again sheets home the truth that ‘giving it a go’ in marginal visual flying conditions should never be an option. Waiting on the ground for weather to improve is unpalatable, and can certainly become frustrating in the extreme. But once in the air, merely resolving to avoid becoming caught in cloud is not enough. To consistently avoid doing so whenever the weather is marginal, pilots need to prepare a ‘plan of escape’ – a different route or even an alternative form of transport – that in normal VFR operations would seem unnecessary. The point is that this sort of planning is not for normal operations – it’s for the time when the unexpected overtakes a flight. Normally a cautious pilot, Des Porter and his party would still be here if he’d had – and timely acted upon – such a ‘plan of escape’. With great deference to, and admiration for Macarthur Jobs’ long history of exhaustive aircraft prang analysis, it is however necessary to respectfully suggest that some interpretations and statements in this paper are wide of the evidence regarding this multi-fatal air crash. 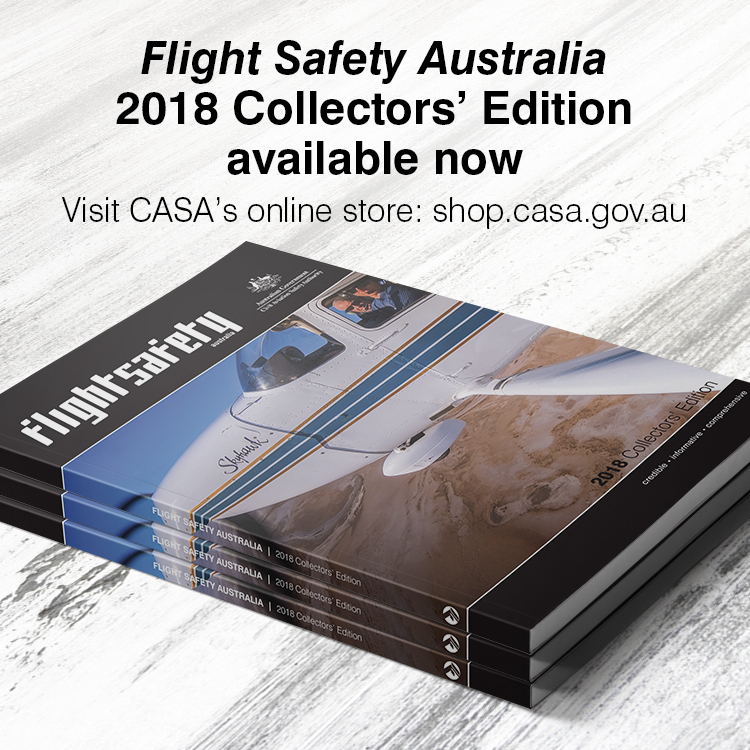 More importantly, and the single most significant point for the flying industry, is the failure to recognise the primary cause of this accident. While refreshing to see a pilot given credit rather than automatic straight outright blame and criticism, the Crash Reaction Syndrome: You might as well let the incident kill you, as the investigation surely will. 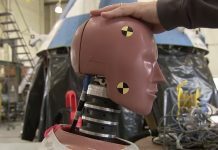 This crash has all the hallmarks of one single cause; protracted, grossly negligent airmanship directly causing his and five other unnecessary violent deaths. To repeatedly describe Porter as experienced, mature, cautious and skillful is to doggedly defy the irresistible conclusion of this fatal crash. 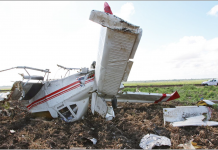 This pilot did not, and never had, any of the necessary attributes of a good safe pilot. His experience was limited & narrow; his hours against age were in the lower range. He regularly flew on his own as PIC, as the aircraft configuration only allowed for this, with non aviators who loved flying. As such his critical feedback exposure was minimal. Being a nice bloke and repeatedly told by friends what a superb pilot he was did him no favours. There is a fatal bridge between being a good bloke and a poor pilot – it’s called not knowing your limitations. Porter was either ignorant of his limitations or deliberately ignored this aspect of his deficiencies. He now forms an addition statistical factor that is appearing in Australian aviation with alarming regularity: Pilots past 60 with reasonable experience and hours who prang for no good reason. The homily of young and bold being dangerous is now being replaced by old, complacent, self-assured and perilous. The only accurate description of Porter in this paper is of him as enthusiastic. This is a large part of the central rub. As an owner operator he proved conclusively that he loved his plane more than life. Rather than put a scratch on its bright fabric paint he was fully prepared to risk and then kill all those on board who relied on him for their lives. During this last desperate section of this flight Porter had 100s of opportunities, over a long period of time – in excess of 50 minutes, to safely force- land his machine as he passed dozens of suitable paddocks and roads. He repeatedly chose not to and refused to save the situation. Why? – because it might spoil the insurance company’s afternoon by bending the aircraft and embarrassing him? If witnesses on the ground could see the Dragon then Porter could see the ground. Difficult to understand why he wasted so much time, concentration and energy talking on the radio for a position report. The GPS on the right hand side of his panel must have been telling him all the positional information that was needed? At this stage he wasn’t pressing on – he was just aimlessly wandering around without a plan nor a clue. He was heading east for the coast into the rising terrain of the Great Dividing Range under ever lower thick cloud. In any event a 180 west was all that was needed back to flat plain country. There is no mention of this GPS in this paper? The fact that no flight plan was lodged, nor a weigh & balance, is not critised but excused? The history of Porter’s fathers prang in this aircraft when he was a boy and indeed Porter’s miraculous escape from this crash can only be wondered at in the light of his final mind set, and for all of the aviation he eventually carried out, up until this tragic final outcome. Living the dream or flying in a dream? What Porter needed was a good shake up many years ago that would have prevented him loving this Dragon to death, allowing beauty to kill the beast, & relying solely on a guardian angel. That could only have been achieved by an instructor who didn’t give a damn about him being a good bloke. The only product required was a safe level of airmanship which he could achieve & consciously maintain. God knows how proficient his asymmetric and forced landing drills were? The remaining question is how did he fall through the cracks long and far enough to end in such a nightmare. Even the vertical impact is a fair indication that in the end Porter was not acting as pilot in command. An otherwise undemanding & relatively docile aircraft which was fully capable of poking in & through these conditions was flying itself uncontrolled into the ground. And the lesson to be learned is that the pilot was a good bloke or a fatally inadequate aviator? Aviation in itself is not inherently dangerous. But to an even greater degree than the sea, it is terribly unforgiving of any carelessness, incapacity or neglect (by pilots and maintenance engineers and air traffic controllers). 100% agree…recall the MU2 in WA…CASA examiner..”good bloke”…just the same kind of dimwit as the Dragon pilot. And the Super Kingair out of Perth…dumbo didn’t activate 2 x airbleed for pressurisation. He mis EIGHT visual”red flag” opportunities (and one aural-physical) during the sequence of after start, pre-takeoff, after takeoff and passing 10K checks alerting him that the cabin was not pressurised. “too many dumb pilots !”.